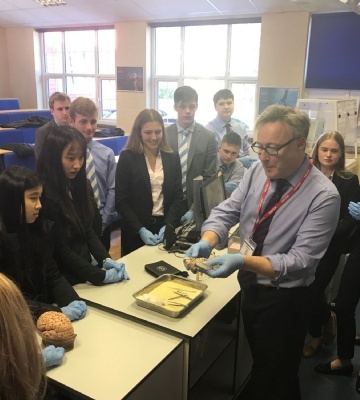 Dr Guy Sutton from the University of Nottingham and Medical Biology Interactive, returned to the College this week to deliver 'Brain Day' to our Sixth Form Biologists and Psychologists. The day is part of the college's STEM programme. Students participated in a series of university style lectures, computer workshops and a sheep brain dissection, to introduce them to how subjects are taught at university, as well as to inspire and engage them in the world of neuroscience. 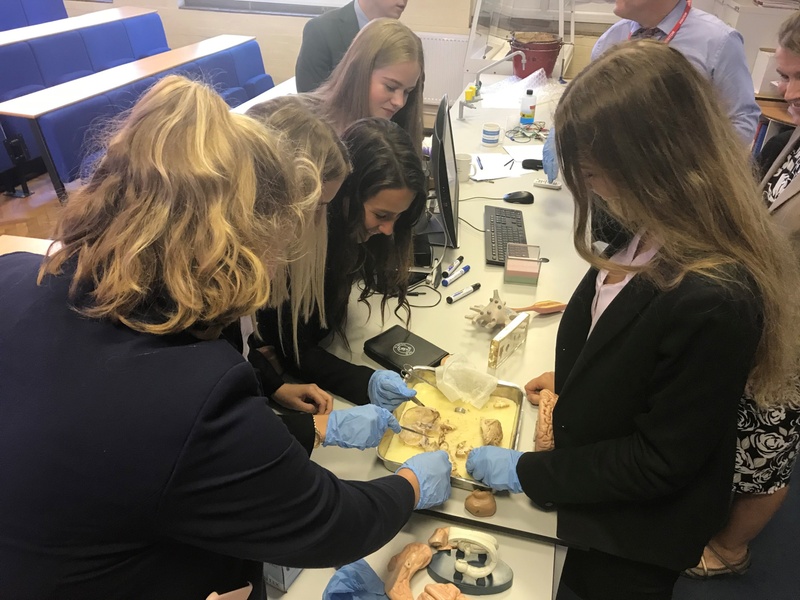 Students learnt about the effect of drugs on the brain, Alzheimer’s disease, schizophrenia and through a series of fascinating case studies, were encouraged to think about whether there is such a thing as a criminal brain. A One-Day tutorial In Neuroscience for A-Level Students. This tutorial is designed to clearly present the complex material, addressing challenging theories and issues in neuroscience employing a variety of stimulating formats. “I thought the day was very enjoyable and interesting. It gave me an opportunity to learn about different mental illness conditions that I would not have normally researched. Dr Guy Sutton will return again to the College in January to deliver a workshop on Epigenetics to the Upper 6 Biology students.